 Applicants who wish to view any of the properties or require any further information should do so by contacting us by telephone, fax or e-mail.  To assist our tenants with renting PAD-2-LET have created a fact document “Tenants Guide to Letting” which provides information on the various requirements and procedures for renting. Our policy is to ensure ALL our costs are fully transparent with no hidden costs, which can be hidden by other letting agents. Each applicant will be required to pay an application fee of £70 (includes tenancy agreement, credit checks, administration and V.A.T) and a bond. (The bond is refundable at the end of the tenancy, subject to the condition of the property at the time of vacation). 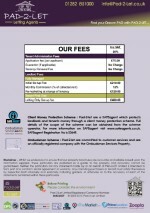 Please note we do NOT charge any fees for an extended tenancy agreement. Please see the below example of costs and fees.